WebStorm 2018.2 brings a lot of new powerful features and improvements, including the Extract React component refactoring, new integrations with Angular CLI, better testing workflow and Node.js debugging experience. Explore the top new features and download WebStorm 2018.2 on our website. We’ve been running the Early Access Preview program for WebStorm 2018.2 for the past two months. We published WebStorm EAP builds on a weekly basis, covering all the new features on this blog. Now we want to share with you the detailed release notes for the WebStorm 2018.2 update as compiled from these EAP blog posts. Development with React: Extract React Component refactoring, convert class components into functional components, and code snippets. Development with Angular: faster project startup, add new features using the integration with ng add, and run schematics from the IDE. Development with Vue.js: completion for Vue events and event modifiers. Node.js development: support for Node.js on Windows Subsystem for Linux, an ability to automatically reconnect the debugger to the running node process, and remote mappings in Attach to Node.js configuration. Built-in tools: find unused code in the client-side app with Code Coverage reports, global File Watchers. Editor: new UI for inspection tooltip. JSON support: JSON5, and Iimproved support for JSON Schemas. Linters integrations: different highlighting for TSLint errors and warnings, and an ability to automatically apply code style rules from all types of ESLint and TSLint configuration files. Testing: rerun failed tests, navigate to Jest snapshot, compare Jest snapshots, and debugging Karma tests using Chrome Headless. Version Control: Browse Repository at Revision action, completion for tags, register roots automatically. Other IDE improvements: Touch Bar support. We’re very excited about this feature! WebStorm can now help you create a new React component, by extracting the JSX code from the render method of an existing one. Select the code you want to extract, and then select Component… from the Refactor this… popup (Ctrl-T on macOS or Ctrl-Alt-Shift-T on Windows and Linux). Name the component and select whether it should be a class component or a functional component. That’s it! Now your new component is defined next to the existing one and used in it. In this Gist you can see the code before and after the refactoring. You can modify the code templates WebStorm uses for the new components, by going to Preferences | Editor | File and Code Templates and selecting the Code tab. For example, you can switch from using Component to using React.Component or PureComponent when creating a class component. Or, change the template for functional components to using arrow function. You can also change the style of using PropTypes or remove them altogether. With the new intentions, you can now convert React class components into functional components and back again – press Alt-Enter on the component definition and select the action you need. WebStorm now has a collection of code snippets for React. It has over 50 abbreviations that expand into different statements and blocks of code often used in React apps. The collection was adapted from the popular plugin for VS Code. Type the abbreviation in the editor and then press Tab to expand it. Or press Cmd/Ctrl-J (Insert Live Template) and select the snippet from the list. All abbreviations are also available in the completion popup. You can find the full list of available templates in Preferences | Editor | Live Templates – React. For the JSX tags, you can now also see the breadcrumbs and colorful highlighting for the tag tree on the editor gutter. With the New… – Angular Schematic… action in the Project view, you can now generate code using schematics that are defined in libraries like @angular/material (note that you need to use Angular 6 for this). Previously, you could only generate components, services, and other blueprints defined in the Angular CLI itself. In addition, WebStorm now shows the schematic’s description and provides code completion and description for available options. Another new feature introduced by the Angular and Angular CLI 6 update in the new ng add command to help add new capabilities to your app. It will install the selected dependency and then invoke the installation script to take care of all the rest. In WebStorm, you can now use the new Angular Dependency… action to install libraries that support installation with ng add without using the terminal. This action is available via the Find Action (Cmd-Shift-A/Ctrl+Shift+A) popup or the New… popup (Cmd-N/Alt+Insert) in the Project view. In the list you can select the library you want to add. Right now it contains only the libraries that we know have ng add support, but you can also specify any package name you want. By the way, the list is available on GitHub and you can send us Pull Requests to add more libraries. If you create a new Angular project using Angular CLI in the IDE, WebStorm now automatically adds run/debug configurations that will help you start and debug the app and run Karma and Protractor tests in the IDE. We have added a new Reconnect automatically option to the Attach to Node.js/Chrome debug configuration. Thanks to this option, it is now easier to debug Node.js apps that use nodemon. Nodemon is a utility that automatically reloads your node process when you change the code of your app. Start your app in the debug mode. To do this, pass an --inspect flag to nodemon. You can create and run a new npm debug script that would look like this: debug": "nodemon --inspect ./app.js (be sure to replace ./app.js with the path to the file that starts your app). Create a new Attach to a Node.js/Chrome configuration and select the Reconnect automatically check-box. Now run the new configuration. The debugger will stop on the breakpoints that you’ve put in your code in the IDE. If you make any changes to the code and click Save, nodemon will automatically reload the app. The debugger will now be able to automatically re-attach to the restarted process. If you’re using a logging tool like morgan in your Node.js app, and the tool writes logs to a file, you can now see these logs on the Console tab in the Node.js Run tool window. To enable this, go to the new Logs tab in the Node.js run/debug configuration. While there, you can also enable saving the console output to a log file. With File Watchers, you can run command-line tools like Prettier automatically when you change or save a file. Before, it was only possible to configure and use a file watcher in a specific project. If you wanted to use the same watcher in a different project, you had to repeat the whole configuration. But now you can create and store File Watchers on the IDE level, and easily enable them in different projects. To create a global File Watcher, open the IDE Preferences (from the project or from the Welcome screen) and go to Tools | File Watchers, click the + button, and select Custom from the list. Now configure the File Watcher for the tool you want to use (for more information on how to do that, see our documentation). Once you’ve saved the new File Watcher, you can decide if it’s going to be available only in the current project – select Project in the right column or for all projects – then select Global. Note that the global File Watchers will be available in all projects, but disabled by default. If you want to use it, go to the project’s Preferences | Tools | File Watchers and select the check-box next to it. Let’s create a new global File Watcher for Prettier following the steps described in the Prettier docs. What we want to change is the path to Prettier – for every project where we want to enable this File Watcher, we want to use Prettier installed in the project’s node_modules folder. To do that, we use a macro in the path: $ProjectFileDir$/node_modules/.bin/prettier. Postfix completion is a great feature for adding template code around an expression you’ve just typed. The available templates are listed in Preferences | Editor | General | Postfix Completion. 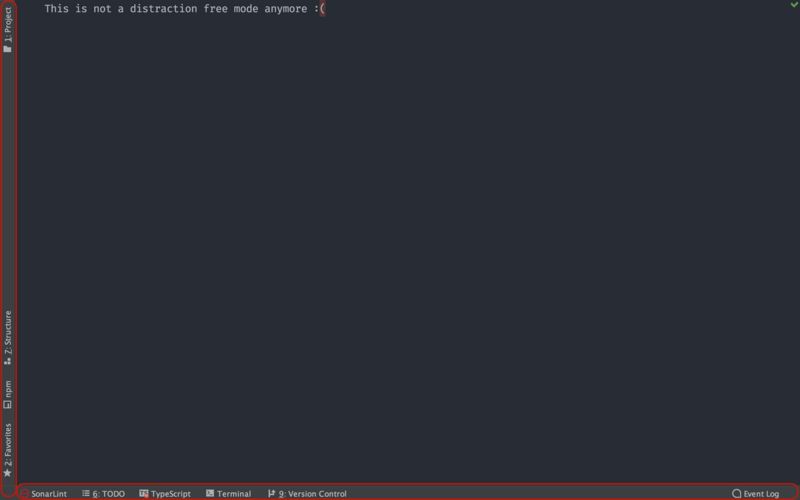 They expand when you press Tab or when you select them in the code completion popup. Now you can add your own templates for postfix completion! In Preferences | Editor | General | Postfix Completion, click the + icon. Save the template. Now you can use it in the editor! Press Alt-Enter to see the available intentions provided by WebStorm, and those from the TypeScript language service. WebStorm 2018.2 now supports the JSON5 standard. By default, you can use the new syntax only in files with the .json5 extension, but you can extend it to all .json files. To do this, open Preferences | Editor | File types, find JSON5 in the list and add *.json to the registered pattern for it. Another useful improvement in this area is the new action that allows you to copy the JSON pointer, a path-like string for the selected object. For some time already, WebStorm has been able to validate JSON files and provide code completion in such files using JSON Schema, a special format for describing their structure and contents. In WebStorm 2018.2, we have improved support for JSON Schema in many ways. WebStorm can now automatically download and use schemas from the JSON Schema Store that hosts schema files for many popular configuration files. As soon as you’ve opened a file whose name is associated with one of the available schemas (for example, composer.json), WebStorm will download and use this schema for it. You will see the name of the applied schema in the status bar. If you have a custom name for a config file, you can manually select a required schema from the list on the status bar. We have also updated the configuration of custom JSON Schemas that you can add to the IDE and use for specific files in your project. You can now specify the URL of the schema file. It’s available in Preferences | Languages and Frameworks | Schemas and DTDs | JSON Schema Mappings. There’s a new Rerun Failed Tests action available when you run tests with Karma, Jest, or Mocha in WebStorm. As the name suggests, it allows you to rerun only those tests that have failed, instead of running all tests after the fix. If you are doing snapshot testing with Jest, you will notice a new icon shown on the left editor gutter when your test file is opened. Use it to navigate to the related snapshot file. Or put the caret on toMatchSnapshot and use the Related Symbol action. If your Jest test has failed because of the mismatch in the snapshot, you can now see why using the familiar IDE side-by-side diff view. To open it, click on the link in the Run tests tool window. Karma allows you to use Chrome Headless for running your tests (check out this great tutorial in the Chrome blog). With Karma, your tests are executed in a real browser environment but without the overhead created by running a full Chrome instance. WebStorm now enables you to debug Karma tests in Chrome Headless (whereas previously you could only run them there). To run and debug tests in Chrome Headless using Karma, add browsers: ['ChromeHeadless'] to the karma.conf.js file, or list it as a browser in WebStorm’s Karma configuration (see the screenshot below). For more info on setting up your project to use Chrome Headless, see this tutorial. If you open a folder that is part of a Git or Mercurial repository, WebStorm now automatically enables version control integration for it. So, no more “unregistered roots detected” notifications when you open a project. With the new Browse Repository at Revision action, which is available from the context menu in the VCS Log or from the file history, you can now explore files in your project at any given revision without a checkout. From the special Repositories view, you can see the project structure and view the files in read-only mode. You can now remove Git tags from a commit right from the context menu of the Log tab. WebStorm now autocompletes tags in the Checkout dialog. If you want to use the integration with Perforce or CVS in WebStorm, you now need to install the corresponding plugin via Preferences | Plugins – Install JetBrains plugins. These plugins fully bring the functionality that was earlier available in WebStorm out-of-the-box. Last, but not least is the MacBook Touch Bar support. Now you can run, build, and debug your project, along with committing changes or updating the project right from the Touch Bar. The Touch Bar shows the controls depending on the context or which modifier keys you press. We support the most popular contexts, and even better – the contexts can be customized! Read more in the IntelliJ IDEA’s blog. If you like the dark theme and you use macOS, you can now make WebStorm ever darker with the dark window headers. To turn them on, go to Preferences | Appearance & Behavior | Appearance, select the new Use dark window headers option, and restart the IDE to apply the changes. For the full list issues and bugs fixed in WebStorm 2018.2, please see the release notes. This entry was posted in Release Announcements and tagged Angular, debugging, eslint, Jest, karma, Linters, Mocha, node.js, react, testing, TSLint, Vue.js, WebStorm 2018.2. Bookmark the permalink. How can I make the pane separator a brighter color or give it more contrast? In 2018.2, it’s too faint using the Darcula theme. Thanks. Do you mean the panes inside tool windows? Can you please share a screenshot showing that? I don’t think it is possible to configure in the IDE right now, but it might be configurable when using the Material Theme plugin. It’s the main vertical separator between two tab panes in the main window. You can’t change the color of the line on the left, but you can change the background of the gutter in Preferences | Editor | Color Scheme | General – Editor – Gutter background. Arghh… How do I remove those annoying frames that now visible in “Distraction Free” mode? It seems that you have Tool Buttons on in the menu View. Just uncheck this option. Is it somehow possible, to define own Angular Schematics? Please note that WebStorm only looks for schematics defined in packages that are the dependencies of your project (and installed in the node_modules folder). A couple of weeks ago, I started using Ubuntu on WSL with a new Windows laptop. I realized soon enough that I had to install a second copy of NodeJS on Windows for WebStorm. So support for Node.js on WSL is a very welcome feature! Congrats for the excellent new release! Thank you! Hope you enjoy using this new feature! Happy to hear that, Aleksey! Actually, we haven’t mentioned that here intentionally because the plugin is now only available as part of the DataGrip subscription and we didn’t want to confuse those are using only WebStorm. Please install it via Preferences | Plugins. Please use the link in the comment above. Is just me that feels Webstorm puts much of the fun back in programming? :) Congrats with another excellent update, and the blob posts to keep us updated!